An inmate at a San Diego County jail died in his cell early Saturday. 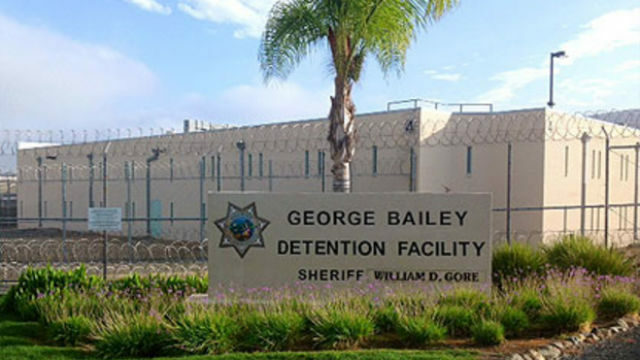 Around 2:15 a.m., San Diego County sheriff’s deputies at the George Bailey Detention Facility in Otay Mesa were conducting a security check and found an unresponsive man in one of the cells, sheriff’s Lt. Rich Williams said. Despite efforts from deputies and paramedics, the man died, Williams said, adding that the man was alone in his cell, and there was no preliminary evidence of injury or foul play. He was in custody for charges including convictions for assault of a peace officer with a deadly weapon, inflicting great bodily injury and resisting an officer, according to Williams. Homicide detectives, who investigate all in-custody deaths, were looking into the case.